The holidays are upon us at the Homeward Bound Memorial Garden. Maria was at the garden late on Monday, expanding and replanting the St. Francis garden; adding more than 200 bulbs; and generally enjoying having the place to herself before the big rains. Four to six inches are expected over the next few days. She was in the garden late enough to catch the solar light strands make their appearance. A touch of holiday in the garden. Speaking of holidays (shameless plug alert!) – and in the spirit of today being #GivingTuesday (a national day of giving) the Homeward Bound Giving Tree is live. You can make a donation in honor, or in memory of your pup. 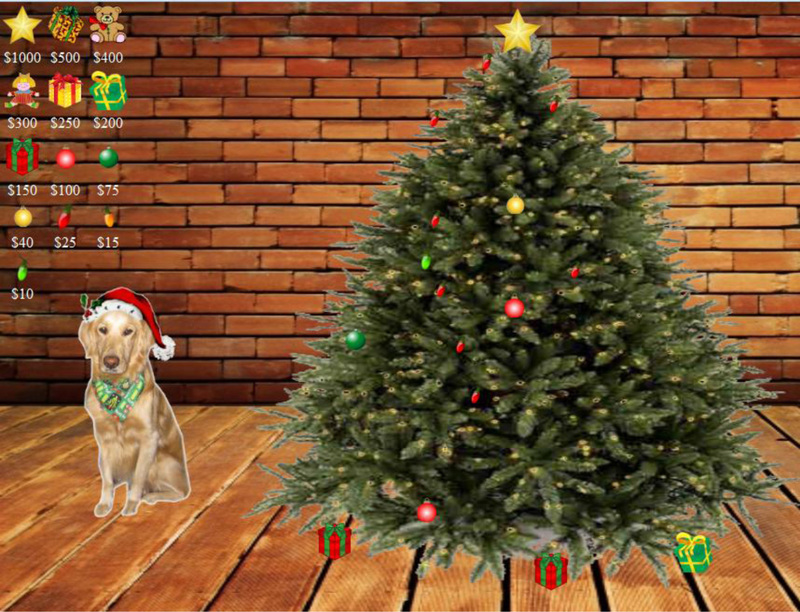 By lighting up Homeward Bound’s virtual tree with ornaments, you can remember your special pup – or as a gift for those hard-to-please friends – while contributing to the rescue, adoption and sanctuary of hundreds of dogs each year. You’ll find information by clicking here. The dogs say “thanks” for considering (me too!). 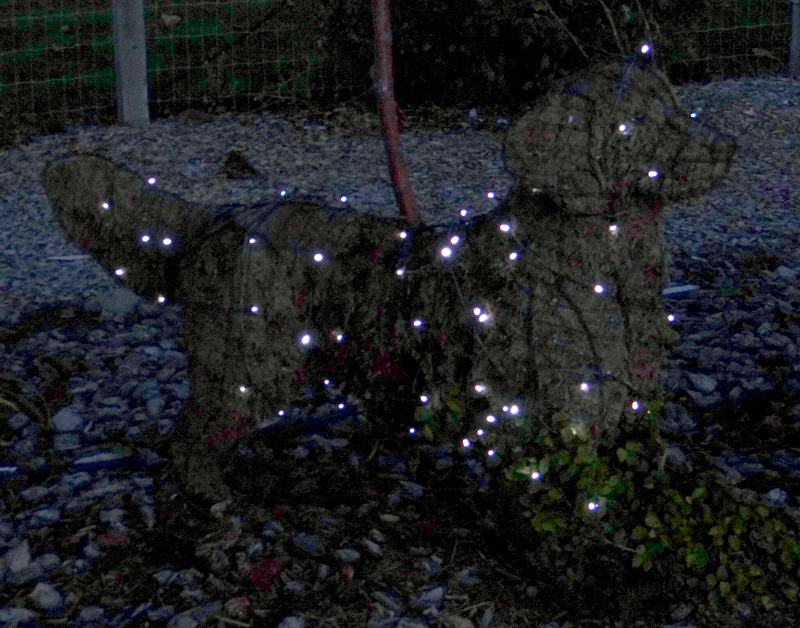 That doggy/bush/Christmas light effect is simply wonderful. What a clever idea – the Giving Tree. Simple to do, too! Great gift for friends, dog walkers, or someone who has lost their furry friend. That is soooo perfect for you guys:) I love it, maybe i can find a yorkie/maltese one somewhere….maybe……just maybe…..probably not. :O :O :O How is he real!? Omgosh i think I just met the love of my life (sorry Kirby XD). He is sooooo precious! I know he must be a mix, but he literally looks like a mini golden. That’s amazing!